This exhilarating, high-speed contact sport of 2150 pits players against the opposition for control of nodes that bathe the arena in deadly lasers. Evading rival coloured beams, teams attempt to eliminate their opponents with speed, skill and strategy. Special offensive and defensive abilities, as well as game-changing power-ups on the arena floor, provide an edge at crucial moments. Like all great sports, Laser League is accessible and immediately understandable, but rewards dedication with deceptively complex strategic possibilities. 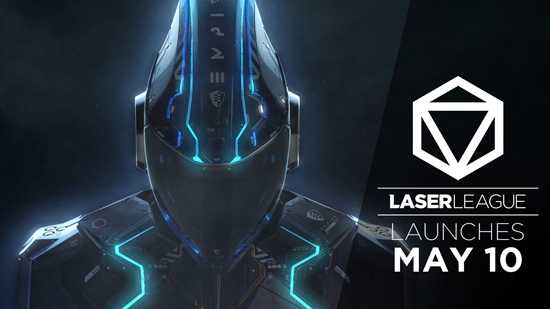 Laser League on Steam will also launch with an additional seven maps, two stadiums and two new power-ups included in the price of purchase. We're also including 6 unique new Modifiers, providing a new way to play each of the game's classes. On top of this we're also launching the NewMotion Brand DLC which will include two new player models, eight kits, exclusive laser patterns, emojis and character portraits for $1.99. The added content and DLC will be available on console later in May.